“Lip Smacking Beverage Company” offers best quality juices with different packages to customers at a very competitive price. Depending on the market researcher’s information and considering the growing demand of different juices, we are going to launch a new juice named “Lip Smacking Strawberry juice” in the market. Although there are other juice companies, we can compete because our offering is totally new in the Bangladesh market for which customers will like to pay a bit more price. Our company’s primary mission is to product quality leadership and afterward market share leadership. The primary marketing objective is to achieve first year of Bangladesh Market share of 10% and unit sales of 10,80,000. 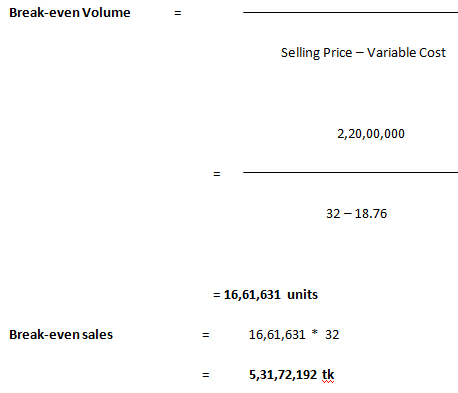 The primary financial objective is to achieve first year sales revenues of 3,45,56,000 tk. Lip Smacking Beverage Company started in 2005, which produces Pineapple Juice, mango juice, orange juice, Lichi Juice etc. We are successful in making profit of all the products mentioned. To give the customer a new fruit taste depending on marketing research information of the customer, we have decided to launch a new juice named “Lip Smacking Strawberry Juice”. Our market area is Bangladesh. For the market, our consumers typically are in the 50,000 tk per year on average and higher income range. Competition for our immediate market is a group of five companies roughly comparable to our company. Only one of these firms, Pran juice, has an interest in marketing itself. We believe we rank second in the group of competitors, behind Pran. strictly determined to serve our customer needs and wants with a totally new taste of juice like “Strawberry Juice”. Lip Smacking Beverage Company’s marketing strategy is based on a positioning of product differentiation. Our primary consumer target is middle to upper income earners. Our secondary consumer target is kids, young, and old persons also. Our mission is making the product available in the market with a very competitive price so that customer can get complete satisfaction by consuming or drinking the product. We also want to establish our new brand of Strawberry Juice and to spread the product through the whole country and reach each and every consumer. A double-digit growth rate within three years. Continue to decrease the variable costs associated with juice production. Our source of data is internet, other company profile, published magazine by other company, market survey, questionnaires etc. we also collect information from our experience. We collect data and information through market survey, internet browsing. We also collect information about the market and consumer from our own experience. All data are not available in the internet. More over sometimes company’s news and information are not accurate that we found in internet, that’s why we have to judge very carefully that which information is correct and which is not. We may collect information from the company financial report, their published magazine. But again, companies are hiding more or less information about their financial or other sectors information for their own interest. Some other ways to collect information are market survey and questionnaires, sometimes people fill up the questionnaire with biasness. So we may not get accurate information through survey. We may say that, our main limitation is to depend on assumption because we have no such source from which we can get accurate information. Lip Smacking Beverage Company started in 2005, which produces Pineapple Juice, mango juice, orange juice, Lichi Juice etc. We are successful in making profit of all the products mentioned. To give the customer a new fruit taste depending on marketing research information of the customer. We are going to introduce our new product “Strawberry Juice”, initially in 125 ml, 250 ml and 1 liter bottles. It will be launched in plastic and aseptic packet and also will be launched in different packages like family, individual package. According to the survey the target market growth rate is increasing. Our company estimates that the future market will be satisfied with more diversified and segmented product. Our target to make new market segments according to customers needs and wants. The customers’ today relative to yesterday is more sophisticated in a number of different ways. Food quality: The preference for high-quality ingredients is increasing as customers are learning to appreciate the qualitative differences. Presentation/appearance: As presentation of an element of the product experience becomes more pervasive, customers are learning to appreciate this aspect of the industry. Health consciousness: As customers in general are more aware of their health, evidenced by the increase in individuals exercising and health club memberships, customers are requesting more healthy alternatives when they eat out. They recognize that an entree can be quite tasty, and reasonably good for you. Strawberry juice is a fruit juice made from strawberries. 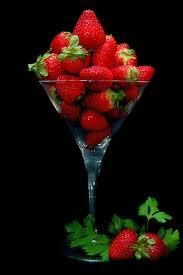 This is a very healthy and refreshing drink since fresh strawberries are full of vitamin C and antioxidants. 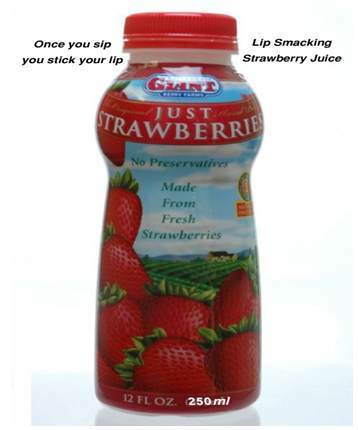 The new brand name for the new strawberry juice is Lip Smacking Strawberry juice. Lip Smacking Strawberry Premium, Classic, and kids’ choice juices are unique because of their taste and flavor. They are nutritionally rich, available in 125ml, 250 ml, and 1000 ml hygienic non-returnable bottle, tin canned, aseptic pack. We established the price of new product “Strawberry Juice” with the concept from cost based pricing. Our distribution strategy would be indirect marketing channel and intensive distribution. We will primarily use our existing distributors for distributing our new product “Strawberry Juice” in Dhaka city. Then, we will make some new channels and assign some distributors to promote our new product to all over the country. We will try to make available our new product in departmental stores, general stores, super markets through our committing distributors. Television Advertisement: NTV, Channel I, ATN Bangla, RTV, and CSB News which are the most popular television channels in the country. Newspaper Advertisement – The Prothom-Alo, The Janokantho, The Jugantor, The Daily Star, the Independent etc. We will also use some bill-boards and we will hold a sport event in various universities and colleges for the young generation to promote the product. We will conduct campaign to offer free sample to the consumers in various departmental stores, general stores, super markets universities and colleges. Kids:- The kids are a large portion of the population. According to our marketing investigators, kids are the second major consumer of juice. They like different tests and colors and according to market research kids are going to love our new product “Strawberry Juice” because of its different testiness. Young:- There is a large portion of the population occupied by the young people. According to the marketing investigation most of them like juice and they appreciated our new product. As young generation is the highest consumer of this type of product, they are our one of our potential customer to serve. Old:- Old are another portion of the population. Old are most careful and sophisticated consumer and are most concern about the price, health issues, and the quality. We think they are also our potential customer. Lip smacking strawberry juice will be introduced to market in October. Here we have shown the summarized action programs. We will use during the first six months to archive our stated objectives. Our product will launch in October therefore we will initiate consumer sales promotion in September. At the beginning of the month, we will arrange a meeting for the suppliers, distributors and some specific customers. We will provide them T- Shirt with our product and brand name. At the meeting, we will arrange questions and answer sessions to about the market affects and proper suggestions. We will talk about our product quality, product development as well list of the distributors. We hope with in the 2nd week of- this month we will launch our product. We will have a grant product launch event and our product will be launched by a reference group like Cricket player Mr. Ashraful with opinion leader. We hope we will try to sell about 3000 units per day in this month. We will offer samples of “strawberry juice” for free and at a low price in different departmental stores, general stores, super markets universities and colleges. For sample pieces, we will offer 250ml of Lip Smacking Strawberry Juice and at the same time we will start our advertising through through different ways. We will complete our distribution process in Dhaka city within November and increase frequency advertising in television and increase the number of billboard advertising. We will hold a sport event in various universities and colleges for the young generation to promote the product. Observing the situations, at this stage we will introduce 1000ml bottle for the consumers and for small family. And this month our product will be available in almost every shop. After doing our successful operations of three months, at the fourth month, we will give extra benefits to the distributors and sellers to improve our sales. We hope we will be able to sell about 5000 units per day in this month. Observing and analyzing we will take necessary actions to develop product sales and increase our profit. We can easily understand the marketing position of our product. If we learn that our condition is suitable then we will make divisional distributors to distribute to the whole country. Side by side we take control over it in necessary. In this way we will continue our production and give a particular image to the mind of every customer. Strong brand name among juice companies in Bangladesh. Excellent, stable and trained staff for customer service. Strong relationships with suppliers that offer high-quality ingredients and fast/frequent delivery schedules. Sudden change of the company’s economic situation. High growth rate in our target market. Change in container or product classification can be our opportunity. Existing channels of our existing product can be used. Trend changes – If trends related to market growth go down, then our business may suffer. Economical, political and technological factors of the country may be threatening for our product. New entry of similar juice company can offer Strawberry Juice with very little price to beat our price. Competition in juice market is very intensive. There are approximately 7 or 8 companies in the industry and there are 10 to 15 brands available in the market. Competition in the area of juice market can be differentiated through test and flavors. The main categories of tests and flavors in the existing juice market are Mango, Orange, Banana, Guava, Pineapple, Coconut, Fruit Cocktail and the existing competitors and brands are Acme Agrovet & Beverage Ltd. Pran Dairy Limited, Akij Food & Baverage Ltd. Shezan juice, Starship, Arong, Denish. Acme Agrovet & Beverage Ltd.
ACME Premium and Classic mango, and orange juices are unique because of their taste and flavor and available in 150ml, 250ml, and 1000ml hygienic UHT packs. The deliciously natural and sweet taste fruit juice is derived from the local orchard during the harvest to ensure the freshness and quality of the juice. It gives natural pulp squeezing fresh fruit, vitamins; mineral and other ingredients make the juice refreshing, natural and nutritious. Its Juice products are packed in Returnable Bottle, Aseptic, and Tin canned, Non-returnable bottle. Pran Premium and Classic mango, orange, Banana, Guava, Pineapple, Coconut, Fruit Cocktail juices are unique because of their taste and flavor and available in 65ml, 125ml, 200ml, 250ml, and 1000ml. Akij Food & Beverage Ltd. has been established at a beautiful site Krishnapura, Dhamrai of Dhaka. It has come with the best food & beverage in Bangladesh. There are various types of drink. Mojo is the brand name of cola, Lemu is the brand name of Lemon and Speed is the brand name of energy drink. Immediately after the introduction of the brand it became very popular among its consumer because of the high quality and intensive distribution in every nook and corner of the country. Akij Food and Beverage Ltd, a concern of Akij Group, yesterday launched in the local market three varieties of fruit juice under the brand name ‘Frutika’. The three varieties of juice — mango, red grape and red orange — are already available in shops in 250ml PET bottles with prices ranging between Tk 20 and Tk 22. Akij Food and Beverage installed state-of-the-art machinery, imported from Germany, to manufacture the juice. Frutika juices have zero preservatives and no artificial colouring, which helps maintain the pure taste of fruit in these products. Akij Food and Beverage Ltd import mango pulp from India and pulp of other fruits from Germany to manufacture the juices. Our marketing research department found the opportunity to provide our customers a new test through juice. The juice industry already contains a wide range of tastes and flavors in juice. But we found that there is no juice in the market like “Strawberry Juice”. Our marketing research department surveyed the market and found that there are potential buyers for our product which will satisfy their needs. So, we have the opportunity to enter the market and fulfill the gap. We are going to offer Strawberry Juice with a very reasonable price so that customer can easily get it at their convenience. Lip Smacking Beverage Company seeks to fulfill the following benefits that are important to its customers. Accessibility: The customer can gain access to our product at their convenience. Customer service: The customer will be impressed with the level of attention that they receive. Competitive pricing: All products/services will be competitively priced relative to competitors goods. From the very beginning we will keep an eagle eye on our consumers’ perceived value. We are planning tight control measures to closely monitor quality and customer service satisfaction. Our company’s goal is to satisfy our customer through superior value so our control standard should also be consistent with our goal. After every month we will evaluate our marketing plan and measure this with the standard. This will enable us to react very quickly in correcting any problems that may occur. In conclusion we can see that, the product the company is going to launch has a bright future in its market. As the product is innovative, the consumers are going to appreciate it. And according to the R&D (Research and Development) department this product will be a strong product in product line of our company.